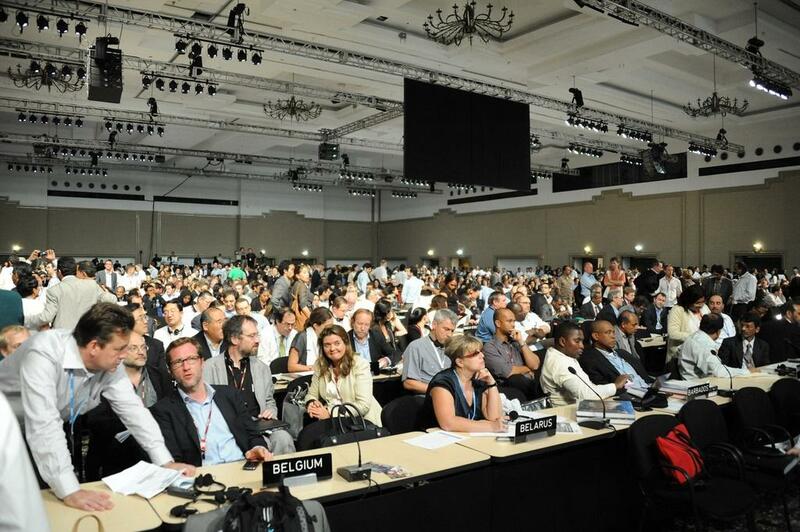 In an iteration of what we have seen in climate negotiations in the past, the developed countries were seen stonewalling an attempt by the Africa group to submit a draft decision on climate financing to be considered by the meeting at the climate talks being held in Bonn, Germany. Developing countries reportedly expressed frustration at the lack of willingness by developed countries to begin discussions over a proposal forwarded by the African Group on the identification of information to be provided under Article 9.5 of the Paris Agreement (PA). According to Article 9.5, the developed countries should communicate how much and how they are contributing to climate finance for mitigation and adaptation. The Article also pushes for a biennial reporting mechanism related to finances. During an informal consultation on Subsidiary Body for Implementation (SBI) on ‘the identification of the information to be provided by Parties in accordance with Article 9.5’., South Africa, on behalf of the African Group had tabled a conference room paper (CRP) on the issue. It requested the co-facilitators to project the CRP on the screen for Parties to look at so that it could go through it. However, the co-facilitator facilitating the session, Peter Horne from Australia, objected to the suggestion, calling it a ‘deviation’ from the agreed mode of work for the session and that he would have to ear the views of the other Parties first to see if there were any objections. According to Horne, the co-facilitators should pose some questions to Parties to “delve deeper into the substance of the issue which were around possible additional elements or information that were not captured in their informal note; identifying duplications or overlaps; and on structuring the informal note better to express the elements or information contained in it”. Developed countries, including the United states and European Union, threw their weight behind Australia’s opposition to the request. They wanted South Africa to present the group’s proposal verbally. On the other hand, the African Group’s request was supported by other developing countries including the G77 and China and the Like-minded Developing Countries. Towards the end of the session, the developing country co-facilitator of the consultations, Seyni Nafo from Mali urged Parties to not waste time and to engage in substantive discussions by providing technical inputs so that some progress is made. Informal consultations on this matter will continue May 3.